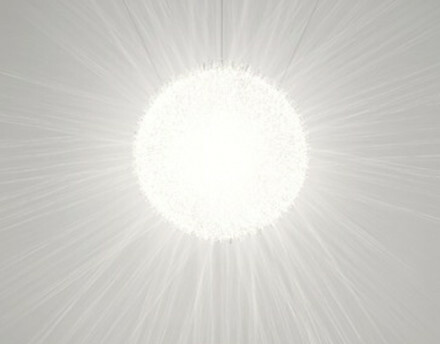 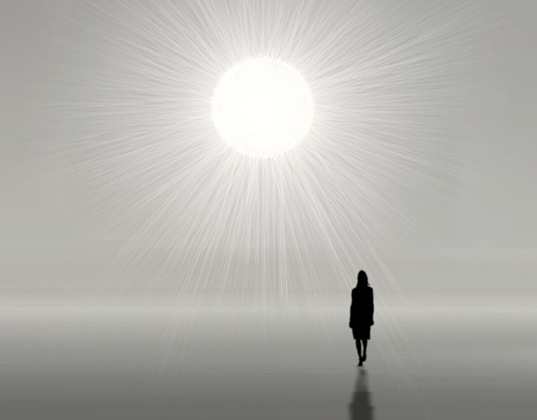 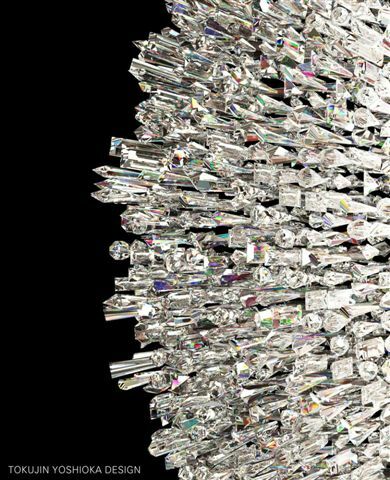 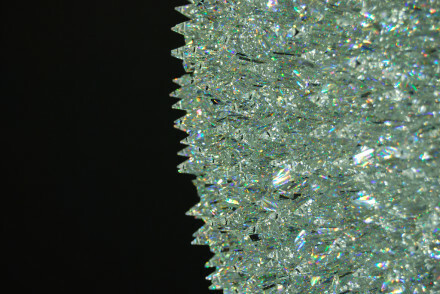 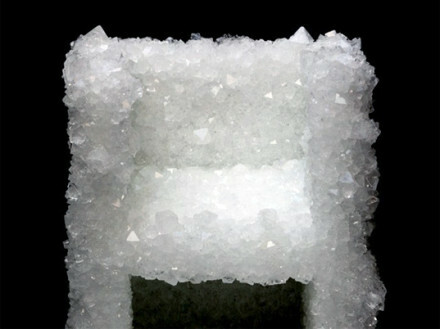 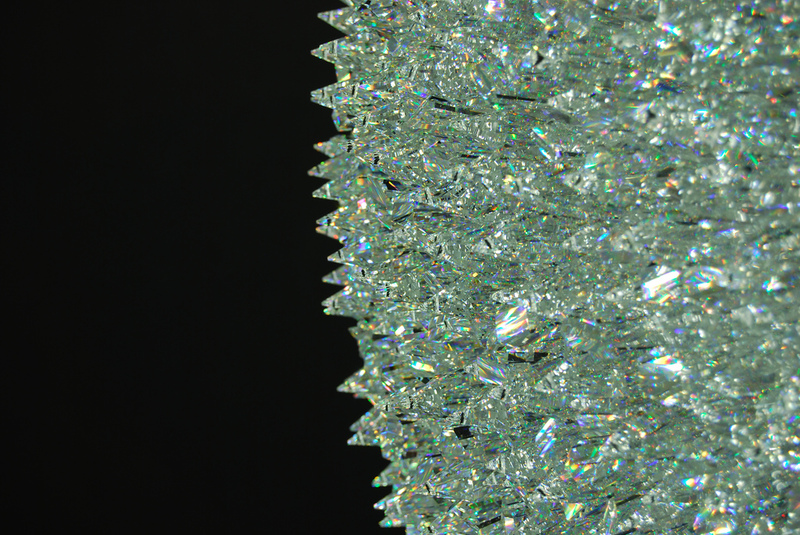 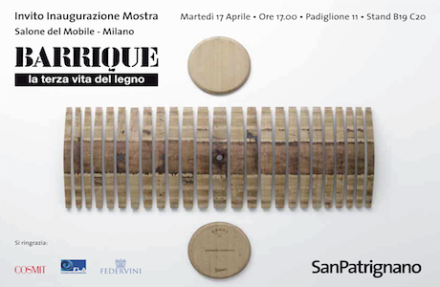 During the Salone del Mobile, Tokujin Yoshioka will present a new work “Stellar” from Swarovski Crystal Palace. 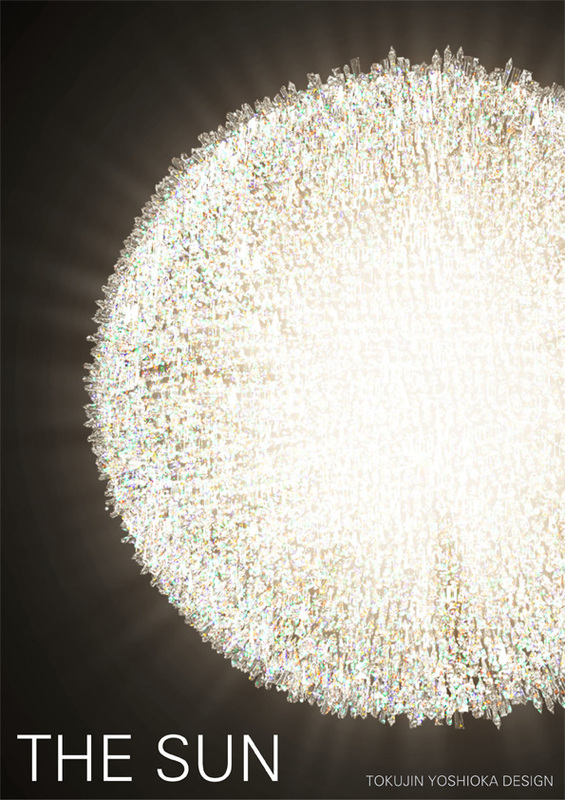 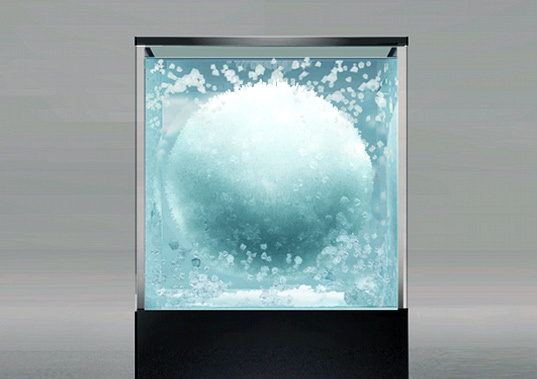 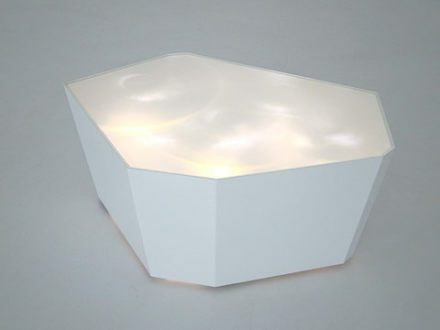 “Stellar” is created based on a concept of “creating an artificial star” in a spherical form. 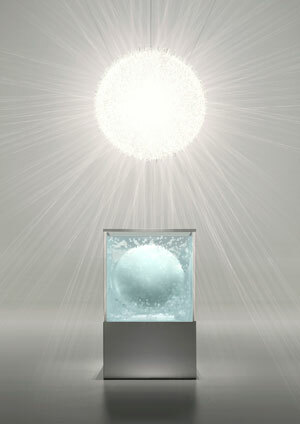 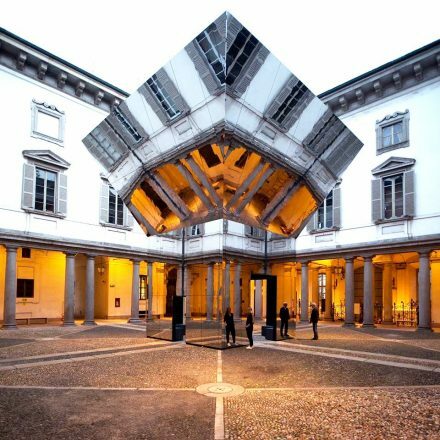 Tokujin Yoshioka’s artificial star was once just a collection of crystals floating in a mineral bath. The crystals solidified into a dynamic sphere using a technique that slows down movement and provides a structure for natural gathering. 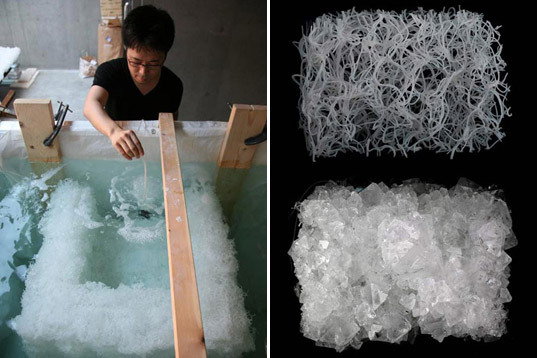 While his pieces are being created, Yoshioka plays music to help guide them around a desired mold. 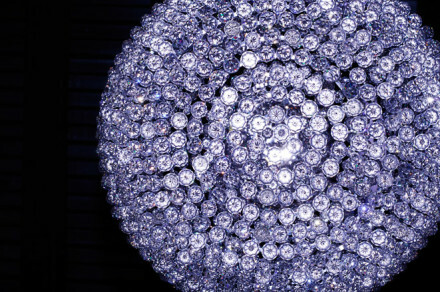 This is Yoshioka’s second chandelier design for the Swarovski Crystal Palace and is one of his many designs inspired by a starry night. 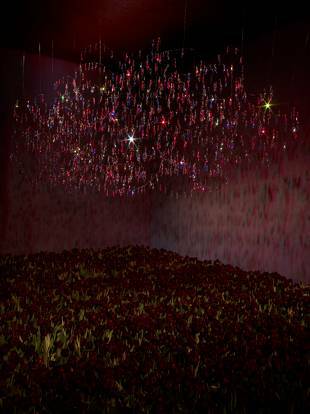 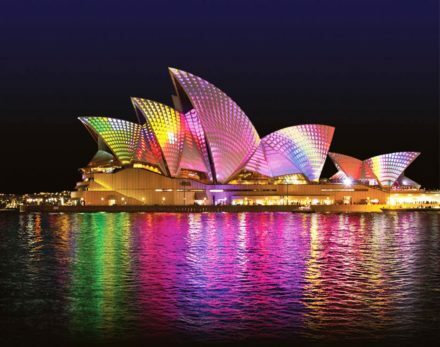 The chandelier’s vibrant stature pulls the viewer into a magical world void of distraction. Stellar is sure to be the focal point in any interior — drawing the viewers in and allowing them to escape by lifting them up off the ground and into the night sky. 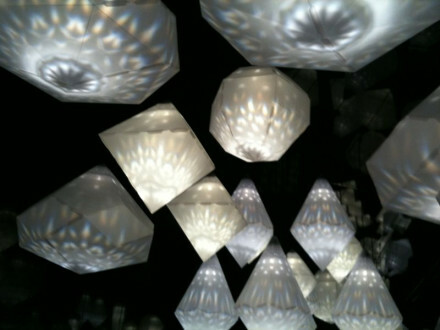 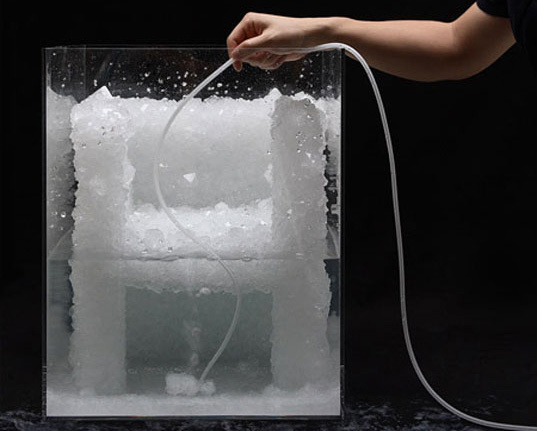 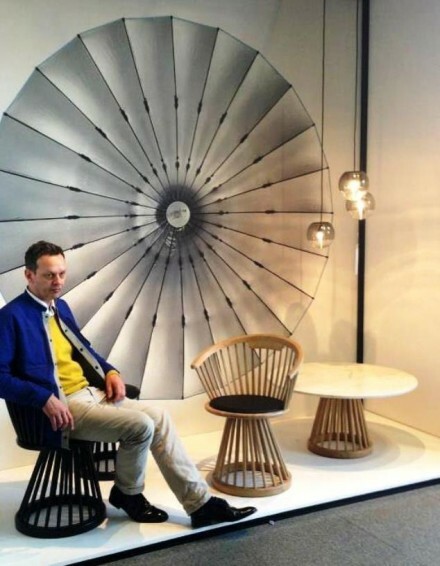 Yoshioka’s stunning design work is not new to Inhabitat or to the rest of the design community. Yoshioka’s other well-known work is exhibited as part of permanent collections in well-known museums such as the Museum of Modern Art (MoMA), Centre National d’ Art et de Culture Georges Pompidou, Victoria and Albert Museum, Cooper Hewitt National Design Museum and Vitra Design Museum.